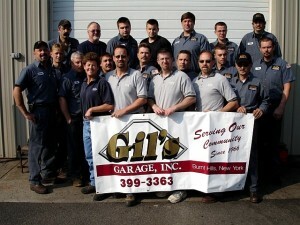 The family and staff at Gil’s Garage put the customer first. We know how hectic life can be, so we strive to make your service experience hassle-free! That’s why we are happy to offer extended hours of operation, early bird and night owl service, same day service by appointment and convenient shuttle service to your home or office. Take advantage of scheduling your appointments online, anytime! For your convenience we also offer free service reminders and online access to your own service records to view anytime. Our team is trained to provide quality preventative maintenance services to protect the value of your vehicle while maximizing its reliability and performance. We use the latest techniques and top quality parts at our state of the art facility to guarantee your complete satisfaction. Along with being your source for quality domestic and import repairs we are a full service tire dealer! It’s our unwavering commitment to our customer’s complete satisfaction that has allowed us the opportunity to serve families for generations.